Irish Garden House: Coffee With A Friend . . .
Coffee With A Friend . . . It is the little things for sure...lovely! Hello Lynne, I agree it is the little things and good friends. 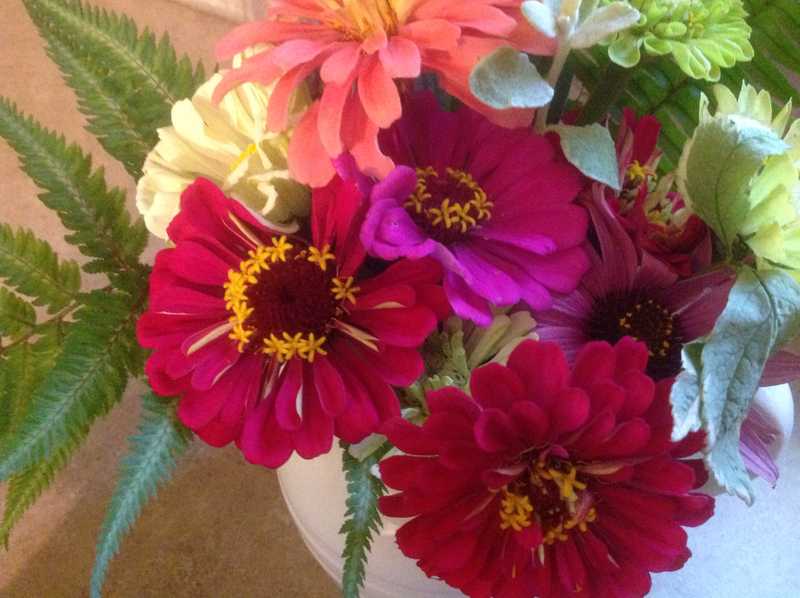 Pretty flowers, I like zinnias. It is the little things, for sure! 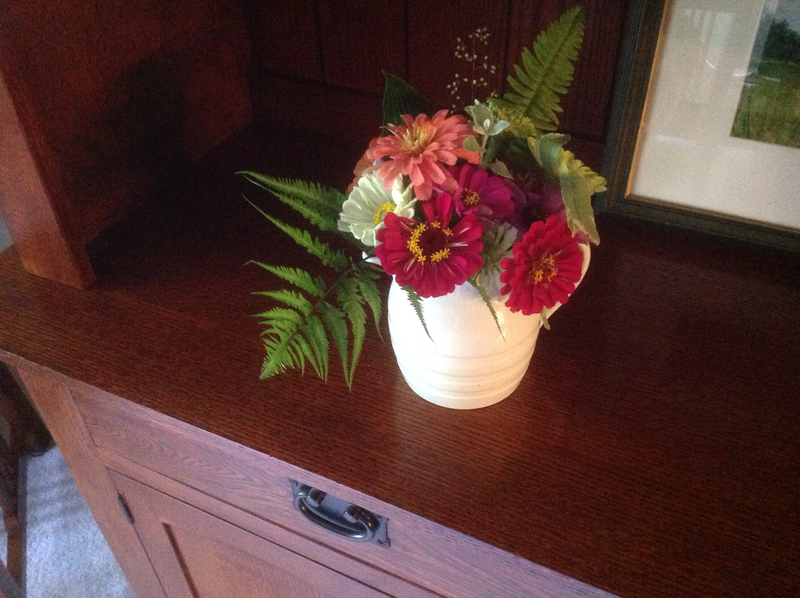 How wonderful to spend time with a friend and that she brings flowers. So pretty. 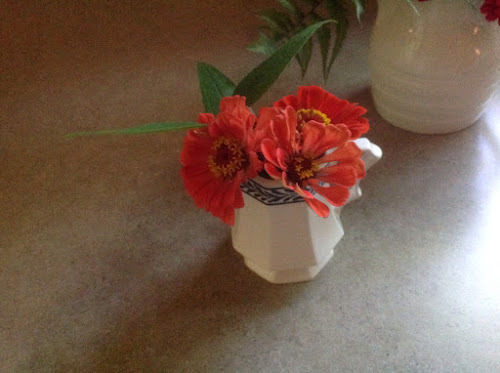 I think that zinnias are my favorite flower this season! I love the colors, so pretty! It is, isn't it Lynne? 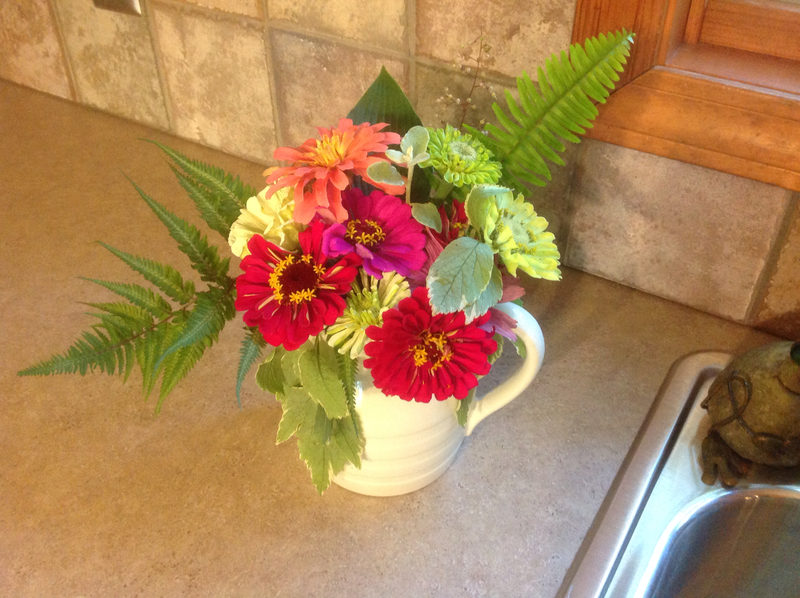 Love zinnias and I have no luck with them! Yours are so cheery!